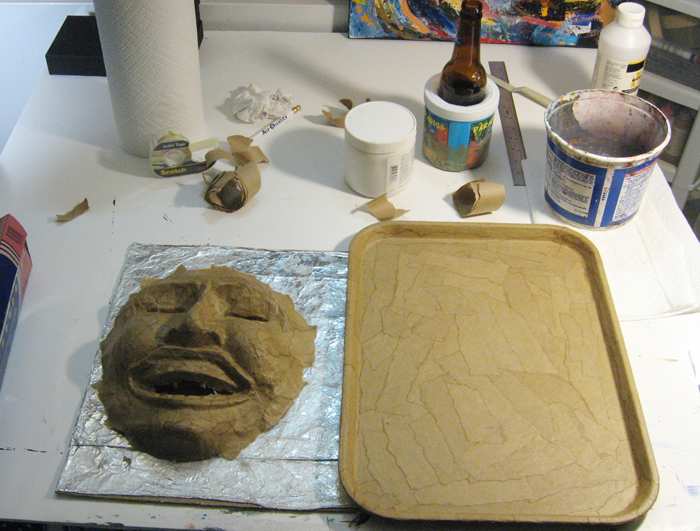 The last few weeks I’ve been doing a bunch of experimenting in preparation for my next assemblage ‘3D’ mask painting. There’s been a lot of hit or miss, leading to some pent up frustration. So, the last couple days I took time off from that and just focussed on manageable, smaller pieces that I could finish fairly quickly while giving myself a sense of accomplishment. Needless to say, as I’ve been working on these smaller paintings my mind has still been trying to work out the 3D project. We must be fearless, fearless, fearless. 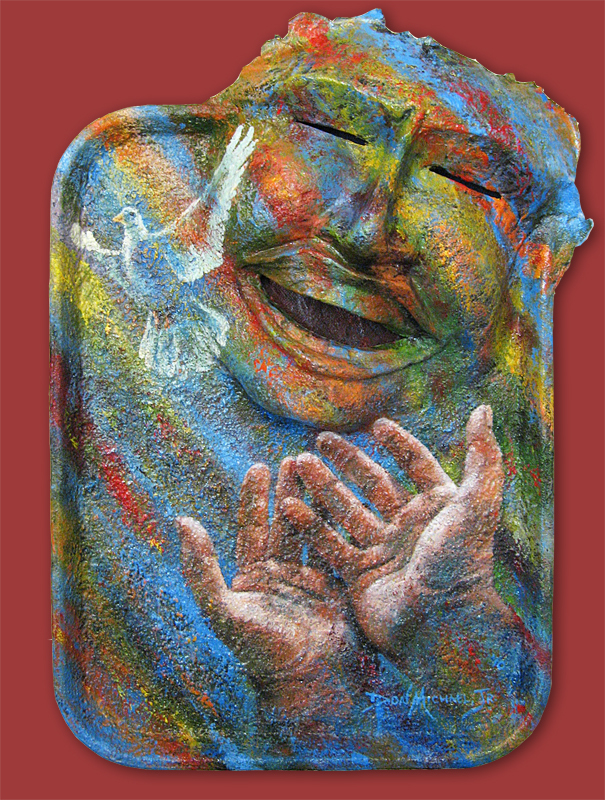 The Under-Schmeering for this one was created during the painting of my mega-mini canvas, Fare Thee Well. It amazes me to consider how much paint I would be wasting if I were not wiping it on these extra canvasses. Anyway, below is the before-and-after. I hope you enjoy. To assuage any major concerns, my family is healthy, my marriage is healthy, and we’re all relatively happy. Life just throws us curve-balls sometimes – and sometimes it puts too much heat on the fast-balls. Just over two years ago I finally got up the nerve to dive into the blogging waters. 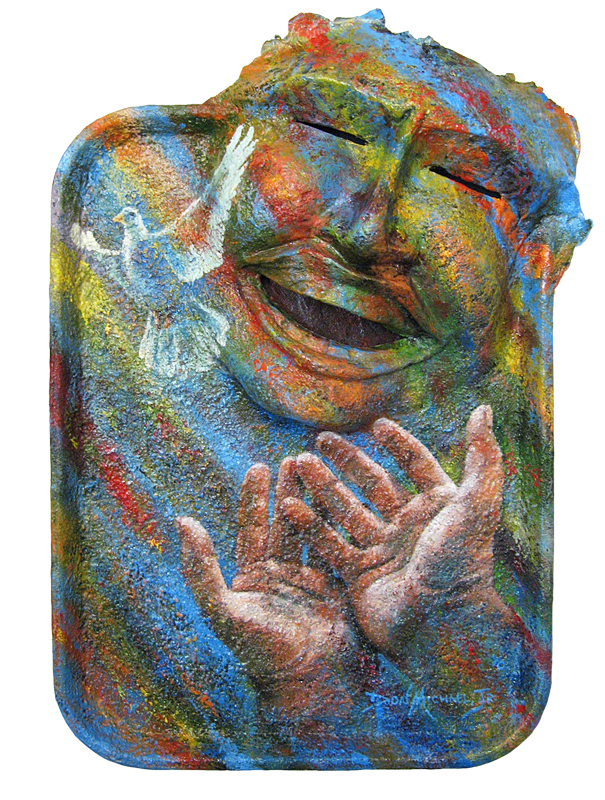 In the ensuing time I have developed many new friends and have grown as both an artist and a communicator. I planned to do a post on the two year anniversary – which would have been August 22nd – but when I realized how close I was to my 200th blog decided to go for a two-fer instead. 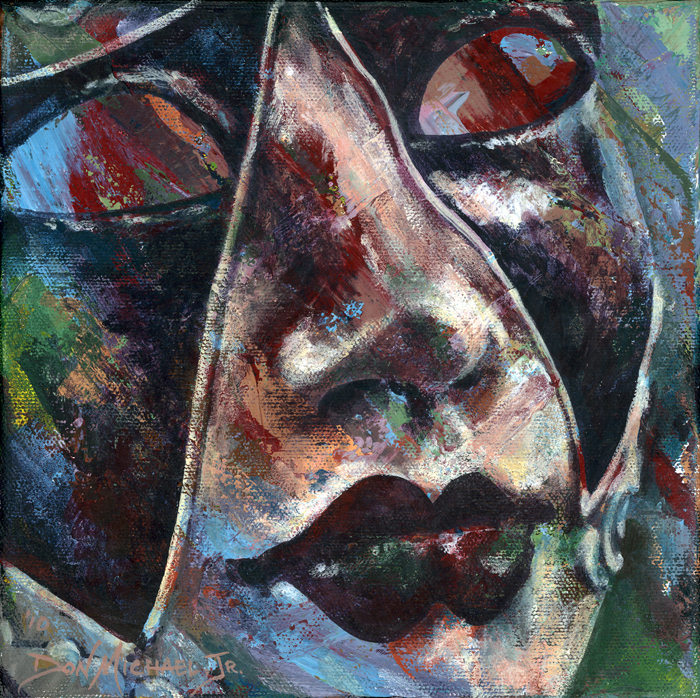 Interestingly enough, after today’s painting I’m only 7 away from having 200 paintings finished in my mask series. I think that fete should enjoy its own recognition, though. Plus, a three-fer would have thrown off my theme of 2’s for Tuesday for today. 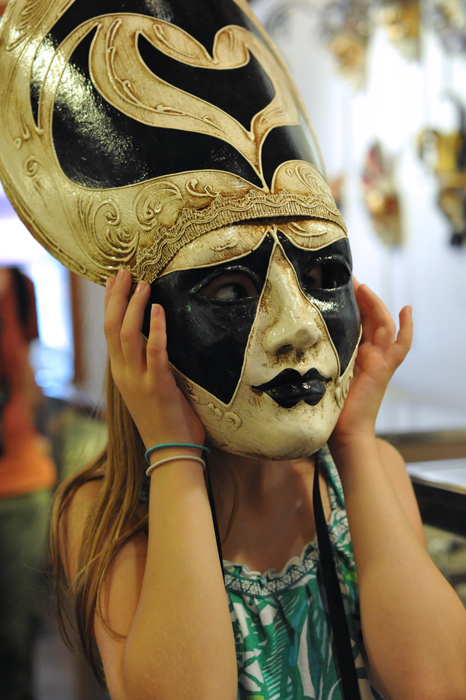 The Halloween season brings me much joy since every store under the sun features masks for sale. I try to buy at least one new mask each year to add to my collection and this year has been no exception. While looking for the perfect new mask last week I found a “bag of bones” which included a skull, a hand, two feet, two ribs, a femur and a section of spine. 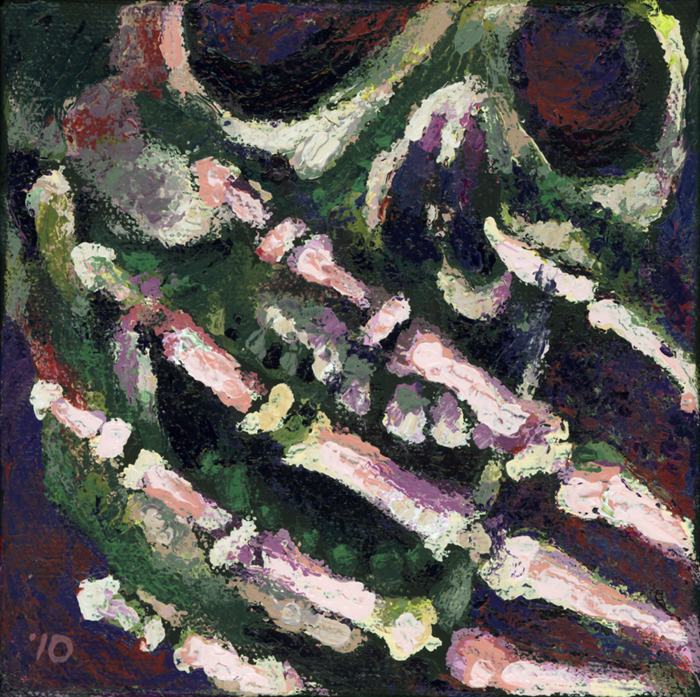 These ‘bones’ are almost life sized and a lot of fun to work with in coming up with ideas for future paintings. Today’s palette knife painting is the first to include one of those elements… It’s not one of my best efforts, but it sure makes me smile. Many of you may remember that a little over a month ago I posted the painting End of Days which I had created to be used as the cover of a novel written by my brother, David. 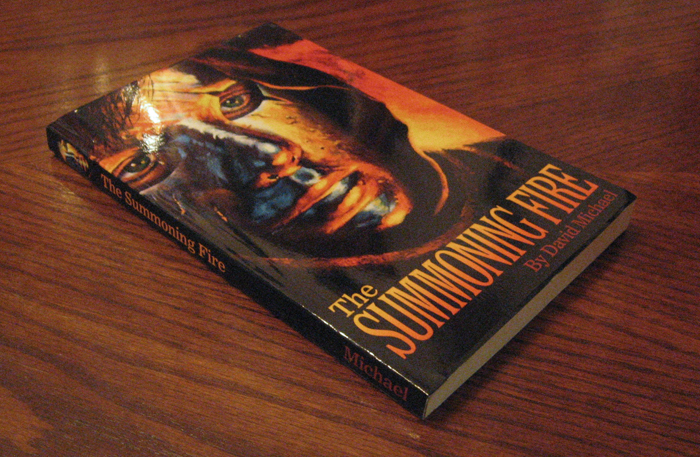 Well, I am proud to announce that The Summoning Fire has been released and is now available online at Amazon.com. Specifically, you can find it here. 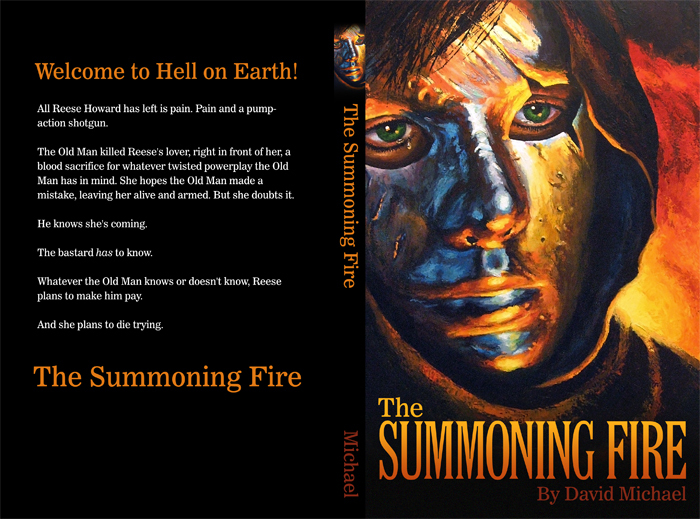 To give you a better sense of the artwork, and to give you the opportunity to read the synopsis on the back, I am enclosing a jpeg of the artwork I created for David. As many of my blog friends know, I have a brother who is an excellent writer. 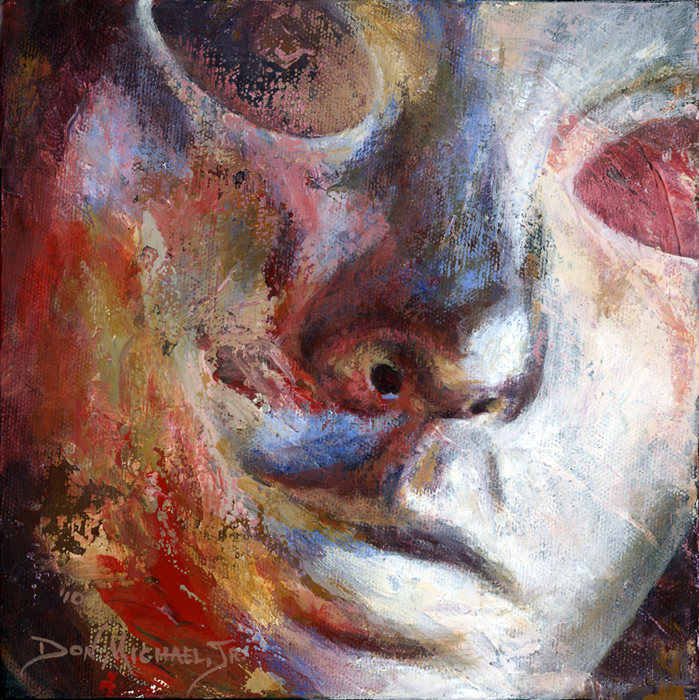 Last year he started writing short stories inspired by some of my mask paintings. I have been blown away by his writing and have even shared several of his stories with my blogging and Facebook friends over the past several months. 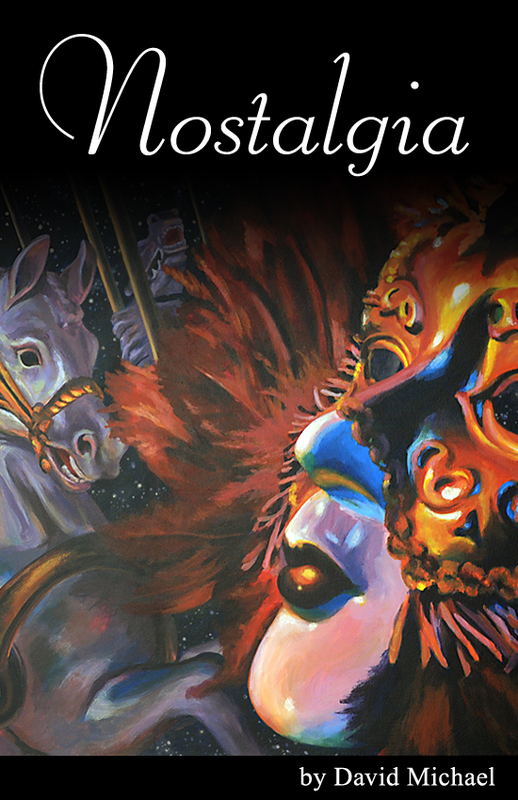 I’m proud to announce that David Michael has released the e-book Nostalgia. This is an independent venture which he anticipates will be released “to a resounding chorus of crickets”. I plan to do everything I can to prove him wrong (isn’t that what brothers are for?). I’m just as proud to mention that I created the e-cover, which you can see below. If you click on it you will be taken to his blog where you can read the first part of the story and find out more about purchasing it. I hope you enjoy. If you do, be sure to tell your friends. 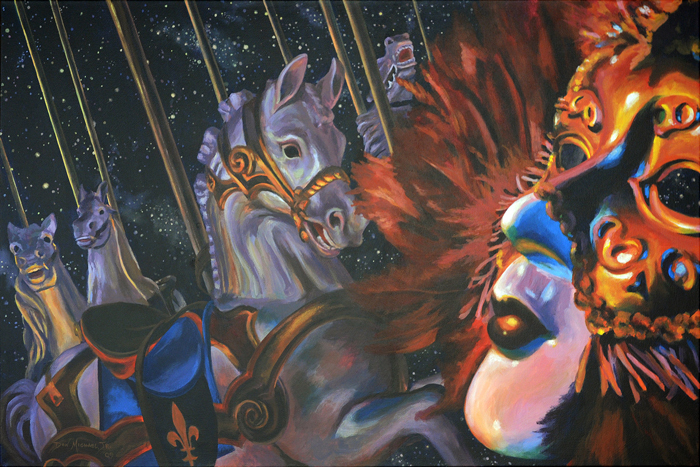 The original painting which inspired this short story can be seen below. This past week has been the least productive with regards to painting that I’ve had all year. I’ve gotten a lot done, except painting – until tonight, that is. Someday I’ll be able to share some of the other things going on, but for now I’ll just share my latest Over the Under-Schmeerings painting. I hope you enjoy. My blogging friend, Celeste, just sidetracked me from my easel for the past two hours. 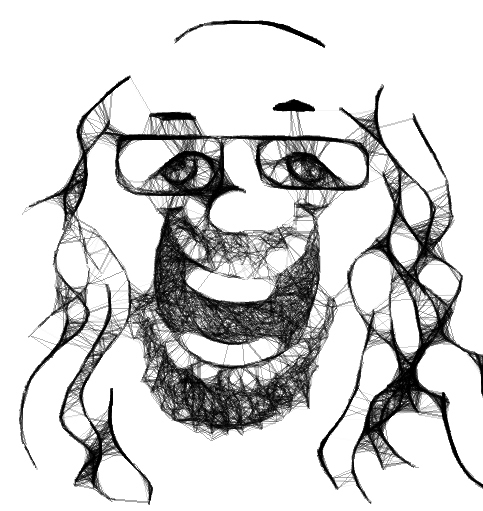 She posted a cool self-portrait she did using an online program called The Scribbler by Zefrank and I had no choice but go try it out for myself. Wow, did I have some fun. 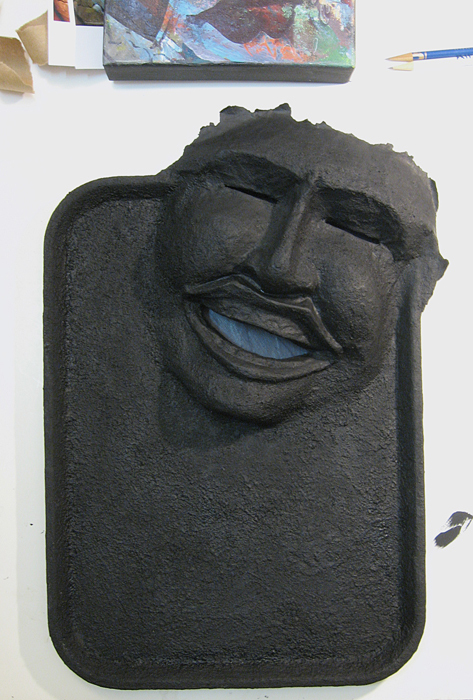 Below is the ‘self-portrait’ I created per Celeste’s suggestion. …with a smile on my face. 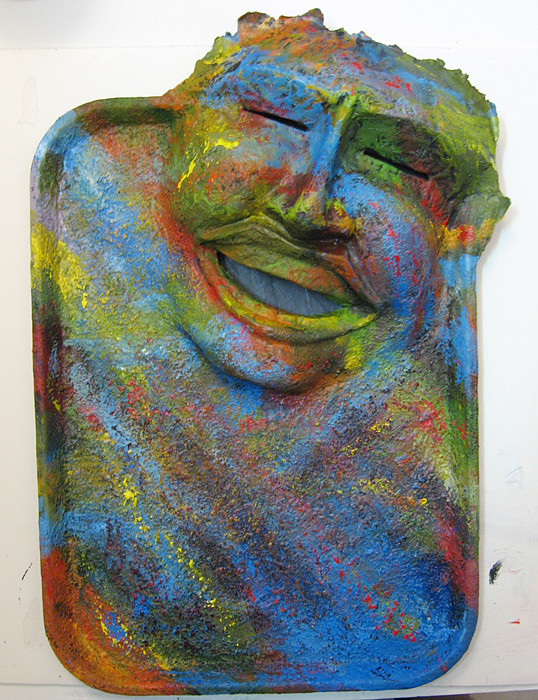 As I mentioned in my previous post, I have been working on a piece that will be auctioned off for charity. The event is called Three Square’s DISH Las Vegas. It is touted as a “culinary event” which includes a live and silent auction called “Signature Dish”. Chefs from all across the Vegas area will be preparing a feast for those who have bought tickets to the event. 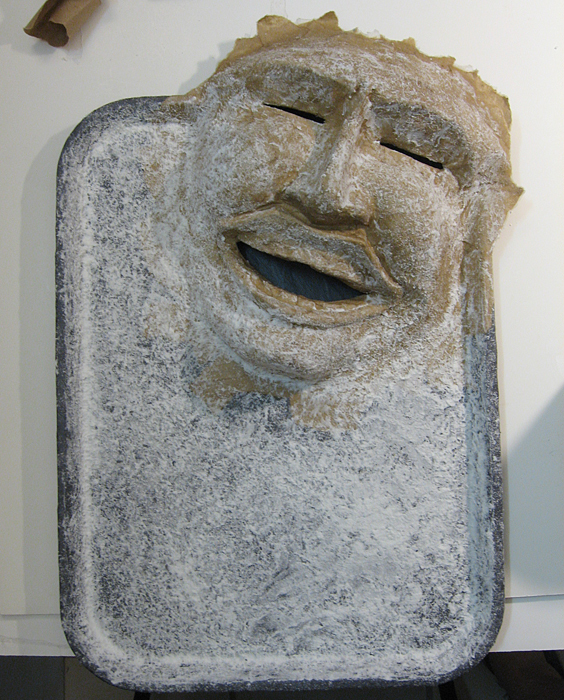 At the end of the evening they will be auctioning off artwork which has been created on and with plastic cafeteria-style serving trays by local artists and celebrities. 100% of proceeds will go to support Three Square’s mission of “providing wholesome food to those in need while passionately pursuing a hunger-free community”. Below is my contribution. 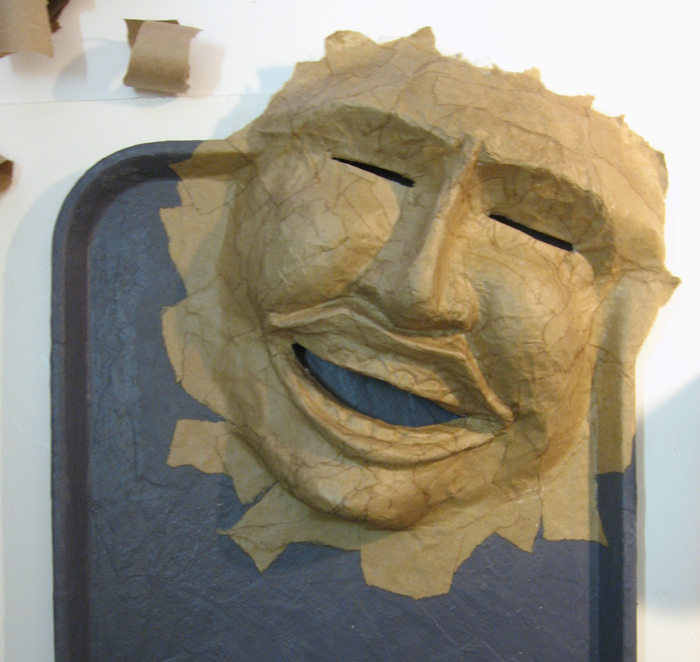 Completed 9-9-10 ©2010, Don Michael, Jr.
…which involved me applying a dark reddish-purple gesso mixture to the tray for the background which would appear behind the mask’s mouth and eyes, followed by the adhesion of the mask to the tray. 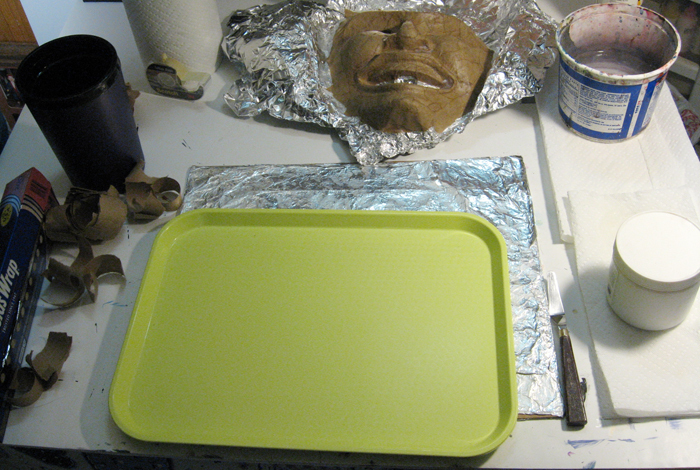 I then applied Light Molding Paste to the entire piece while texturing it with a natural sponge. As cool as the black looked, I decided it was time for some color and I laid in my base coat – which also served as my background. I’ve been working on another piece for charity the past few days and hope to have it finished by this upcoming weekend. Meanwhile, I have a pretty good backlog of schmeered canvasses awaiting my attention and decided to finish out one of them this past weekend during some downtime on the charity project. 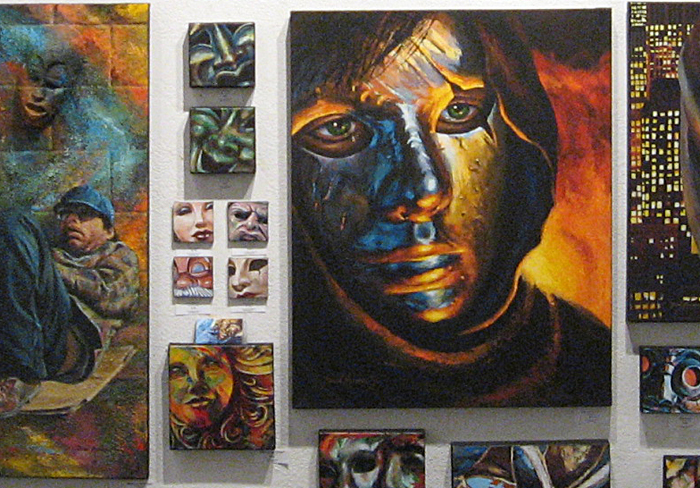 Since tonight is First Friday, a downtown art show here in Las Vegas, my week has been spent in preparation. There were wires to be strung; prints to be made, bagged and tagged; signs to be made; and finally, paintings to be hung. 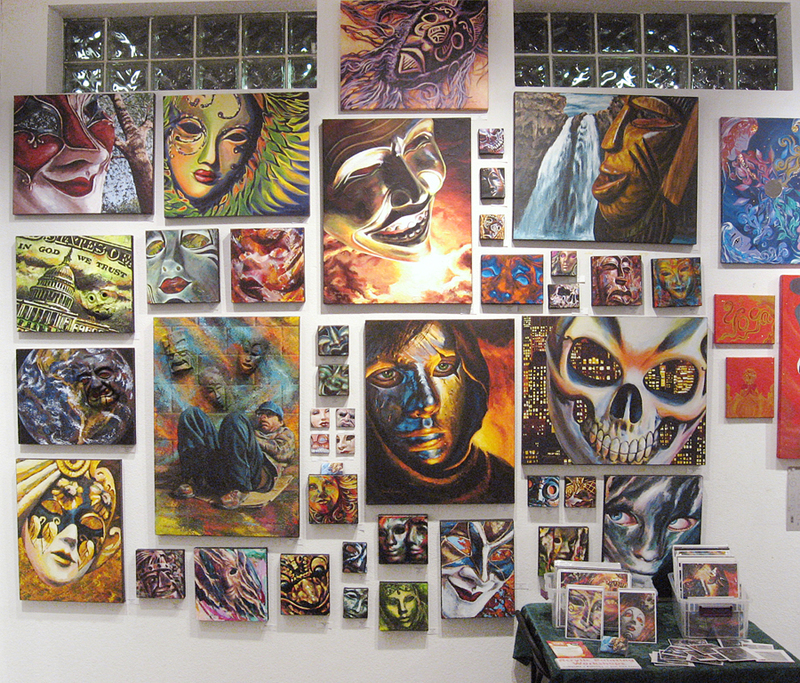 Last night I took in 9 of my 10 new paintings from August and switched them out on the wall of the gallery I share with 7 others in the Arts Factory. Everything is now ready for 6pm to roll around, at which time First Friday will begin. 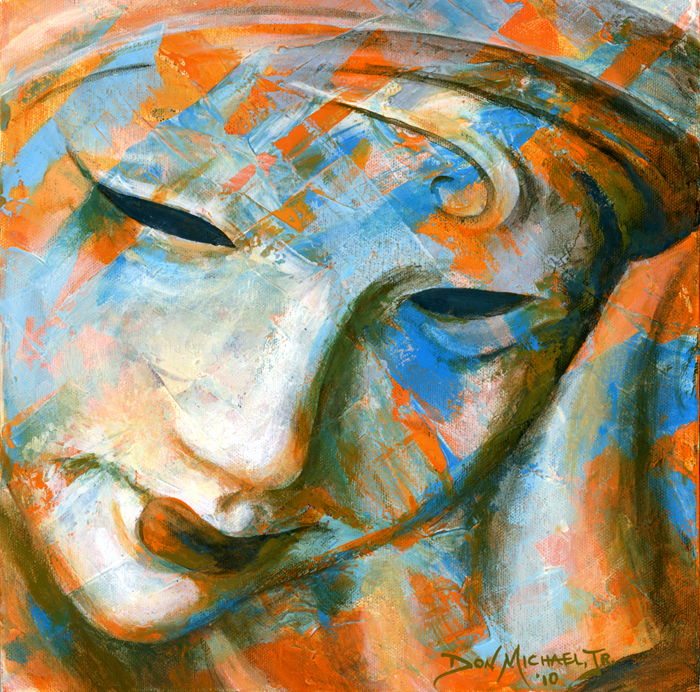 All paintings ©2008, 2009, 2010, Don Michael, Jr. If you live in or near Las Vegas, be sure to stop by and see me tonight. I’ll be hanging out with my artwork from 6pm until 10pm. Hit me up for a beer. I’ll have a few stashed in my ice chest.